In normal circumstances, eulogies come after a person is gone, which has always seemed like a terrible waste to me. And because my friend Lea Wait has been so incredibly open and generous about this part of her life, the last part, I have decided to be open as well. Lea Wait is my friend and I will miss her terribly. Lea probably doesn’t even remember the first time we corresponded. I was the editor of the Sisters in Crime New England newsletter and I reached out to her to see if we could feature an interview with her. I don’t know exactly when this was, but it was when the newsletter was still laid out in Quark, printed at a printer, and stuffed into envelopes with labels and stamps, so you do the math. Over the next few years, I got to know Lea a little bit more, through Sisters in Crime New England and the New England Crime Bake, but she wasn’t much more than an acquaintance in 2010, when things changed for me. Suddenly and somewhat unexpectedly freed from my corporate job, I finally had the prospect of spending an extended period of time in Maine. My first novel was scheduled to be published that September. I had a new and different life to figure out. Our house was in Boothbay Harbor, and Lea was in Edgecomb just up the road. I don’t know what caused me to do it, because it is completely unlike me, but I sent her an e-mail saying I was in the area and would love to get together. Lea wrote back an incredibly warm e-mail (I still have it) and invited my husband Bill and me to dinner at her house. We went to that dinner and the rest, as they say, is history. We just clicked. I liked Lea’s husband Bob a lot, Bill liked Lea, and Bill and Bob got on like a house afire. Lea and Bob were fun companions, fabulous to eat and drink and converse with. We never ran out of things to talk about. Lea and I corresponded and talked and visited pretty constantly after that. We had a lot in common, past corporate jobs, this blog, and eventually even the same agent and editor. Basically, we were two women from north Jersey who had fallen in love with Maine, albeit in different decades and in different ways. In addition to their friendship and support and their modeling of a life I at one time could only dream about, Lea and Bob affected Bill’s life and my life in two very specific ways. It was Lea who told me the story of how one of her daughters had her wedding reception on a private island off Boothbay Harbor where a family ran a clambake. So when my agent and I had a call to go through possible pitches to publishers, and he said the word, “clambake,” I was off and running and never looked back. When Bill started doing digital photography seriously, Bob, who was a photographer before he turned to painting, was incredibly encouraging to Bill, telling him he had an eye, critiquing his work, always generously. It was Bob who introduced Bill to the world of the visual arts. He told Bill about the place where photography competitions were posted, which is what led Bill to be a finalist in a competition and have his photograph exhibited at the Naples Art Association gallery. Bill Carito, his photograph and his proud spouse, thanks to Bob Thomas. Thank you, Lea and Bob. Without you our lives quite literally would not be the same. The last time we saw Bob was in December. Bill and I had come to Boothbay for the Coastal Maine Botanical Garden’s holiday light show, Gardens Aglow. Afterward we met Lea and Bob at Ports of Italy, a favorite restaurant for all four of us. We had a delicious dinner and talked the night away. I would guess, from the timing, that it was one of Bob’s last nights out like that. And that’s how I choose to remember them both, under a clear sky on a cold, starry night, saying goodnight in the parking lot. Saying good-bye. 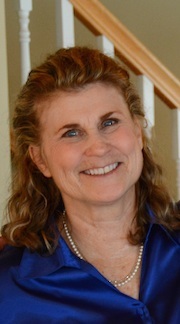 Barbara Ross is the author of seven Maine Clambake Mysteries. The eighth one, Sealed Off, will released in December 2019. 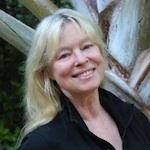 Her novellas featuring Julia Snowden are included along with stories by Leslie Meier and Lee Hollis in the anthologies Eggnog Murder, Yule Log Murder, and Haunted House Murder, which will be published in August 2019. A new mystery, Jane Darrowfield, Professional Busybody, will be released in June, 2019. 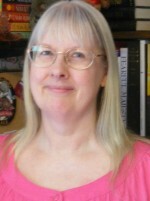 You can visit Barbara's website at http://www.maineclambakemysteries.com. This entry was posted in Barb's Posts and tagged Bill Carito, Bob Thomas. Bookmark the permalink. Oh Barb- this was so lovely! We just never know who will influence our lives and our future selves. Thank you for this! That is so true, Jacki. Yes, Calla. Far too soon. Moved to tears. Friendship is such an overlooked gift. You are right, Michele. Friendship gives us so much comfort and strength. A heartwarming story of friendship. so glad you took the opportunity to share this now. I agree, Lesa. We should take the time to express our feelings and appreciation more often. A good lesson. That Lea is, Anne Marie. What a lovely piece, Barb. And I agree; eulogies should be shared with the living. Lea is an amazing woman. She is amazing. So glad you appreciate it, (and her!). Tears here too. Lovely words to a lovely woman from another lovely woman. You’ve been with us from the beginning, Gram. It really is a shared loss. This is perfect. Thanks for sharing it. So glad you liked it, John. Thank you for sharing this. A wonderful story of friendship, how very lucky you found each other! Wonderful and touching, Barb. Thanks for sharing. A beautiful tribute to a beautiful woman. Thank you for sharing your story. Starting my day with tears…what a beautiful tribute to your friend…and a reminder that we never know how we affect other lives. Lea will be missed by so many, including this reader. That is so true. We never know what direction a moment spent to help or support–or a chance remark might take. Okay, Barb — you have me crying, too. Thank you so much, for your and Bill’s friendship over the years. You both meant a lot to Bob and I — and still mean a lot to me. We should all be so lucky to have such friends. Peace, hope, health — and long lives to both of you! Lovely tribute, Barb. I’ve never met Lea, or you, but I feel like you’ve both become friends through the Amazon forums and your books and this blog. My heart hurts to know i’m losing a friend. I can only imagine how painful this is for you. God bless you both. Thank you so much, Dee. I feel the same way. Barb, So much wisdom on your part to write the eulogy before Lea is taken from us. Lea has done such a wonderful job writing historical novels and mysteries against the backdrop of antique prints and the needle arts. That’s what drew me to her…it wasn’t just a Who Dunnit but every book taught me something. My life was the reverse, in a way. I grew up in Maine and then spent most of my adult life in NJ, a state I love to this day. She’s such a special lady who has contributed so much and has a special place in her heart for children. And she’s so kind and encouraging. What a hole in the world there will be with her passing. I’m dreading it. Her courage is amazing me. Lea is amazing me, too, Mary Anne. Weepy in Montana. You know a eulogy has done its job when it leaves you wishing you’d known the person in person (Bob) or better (Lea). Holding you both, Barb and Lea, in my heart. Your tribute is beautiful and meaningful. Lea is not a friend in a traditional sense. I know her only through FB, brief encounters at shows–and, of course, her books. Her “coming out” about her diagnosis touched me deeply. I sing with Solace, a hospice choir in Knox County. There is a similar group, Homeward Bound, in Lincoln County. There is also an active Death Cafe group that meets regularly in Damariscotta. In aging, compassionate Maine, openness about death and help on the journey abound. I am keeping Lea close. Merrilee, that is lovely. Thank you for all you do. Beautiful eulogy for a great writer who will be missed terribly. Such a beautiful heartfelt story of wonderful friends.Thanks for sharing. I just saw this and join others in tears. Barb, you have written a beautiful tribute to a beautiful and talented person, inside and out – and brilliantly, so she can read it. I will miss you, too, Lea, and am so glad your books will live on. Yes, we’ll have the books, which is some solace. Yes, I’m crying too. Two lovely, talented women with big hearts. I’m glad you found each other and that I’ve been lucky enough to know you both. We have been lucky in friendship, indeed. How lucky you all were to find each other and share your lives. Tears here, Barb. Thank you for sharing this beautiful tribute. Thank you for reading it, Shari. Beautiful tribute, Barb. Lea did a thoughtful manuscript critique for me at CrimeBake last year, when I know she had other, much weightier things on her mind. A very special, generous woman. Love, love, love this! We never know what life will bring us or what we can bring to others’ lives. Thanks! How wonderful. Lea is such an amazing author and I am sure she is a fantastic lady and friend as well. How lovely a tribute to friendship and love. Barbara, that was so touching. What a beautiful friendship you have all shared, I wish it could have been much longer for all of you. I think of Lea and my heart breaks. She is amazing woman.